Have you ever struggled to make a change that seemed impossible? And because it was such a struggle, you beat yourself up, and gave up the fight? With a different approach, a simple-ish approach, maybe it’s not that impossible. 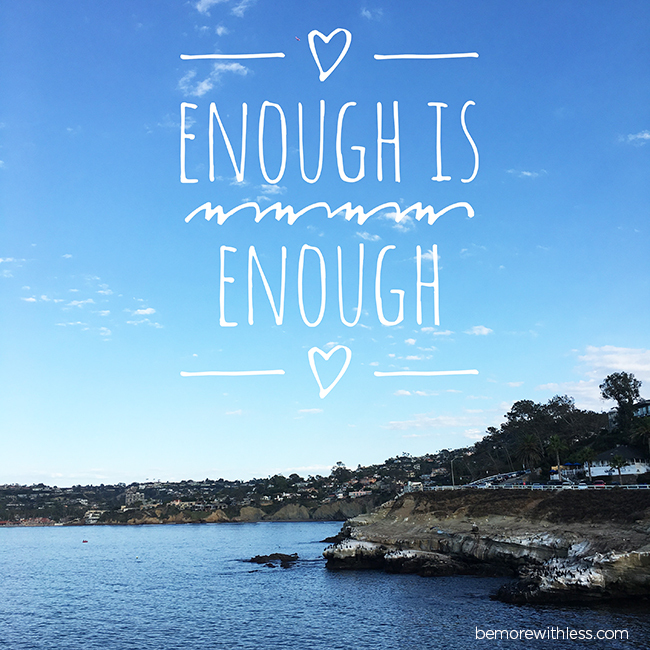 Enough saying yes when you want to say no. Enough burning the ends of all the candles. Enough compromising who you are. After learning how devastating stress can be for MS, and most diseases, conditions, and suffering, I decided to eliminate as much stress as possible from my life. I wasn’t looking for an easy life, but I wanted a life with more ease. As I write this article, I’m sitting on a balcony watching sea lions play in the sparkly blue pacific ocean. I am living, and working with more ease. I don’t mind working hard, but I will not struggle when ease is an option. I won’t force, or fight, or push. Instead, I’ll be a Gentle Warrior and look for ways to be curious, lean in and move through. It took some time and commitment to get here, but each change I made, every new idea I considered instead of dismissing, and any sacrifice I made was worth this one single moment. The way we struggle over change seems so counter-intuitive. We compare our beginnings to other people’s middles and ends. We get anxious about uncertainty and dramatic about how hard it’s going to be. We resist, avoid, and wait for change to happen to us. There is a better way. Simple-ish is a different approach to change. It’s slow and steady instead of fast and furious. Simple-ish change invites you to be mindful about how you feel and what you notice along the way instead of measuring success only by how finished you are. Simple-ish asks you to keep your eyes on your own paper, to define success your way, and to create the changes that best benefit your heart in a way that most resonates with your heart. 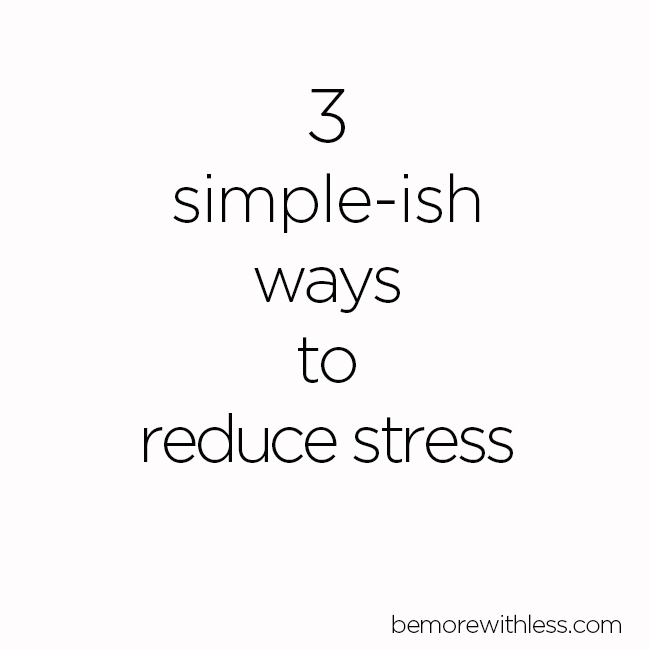 If eliminating stress to create better health and more ease is appealing to you, I recommend trying one or more of these ways with a simple-ish approach. 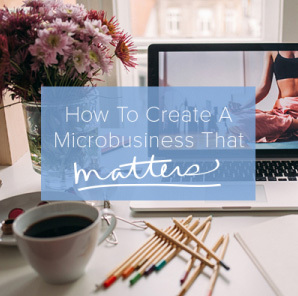 When I first started minimalist fashion challenge Project 333, I had no idea what to expect. 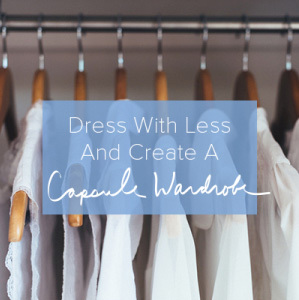 As it turns out, dressing with less changed everything. My mornings because more peaceful. I stopped trying to shop my way out of painful situations and I discovered confidence in who I was instead of what I wore. As a result, I eliminated a bunch of stress. A new season of this 3-month fashion challenge beings on October 1st, but you can start anytime. Find all the rules here or join the course for extra support, instruction, and accountability here. 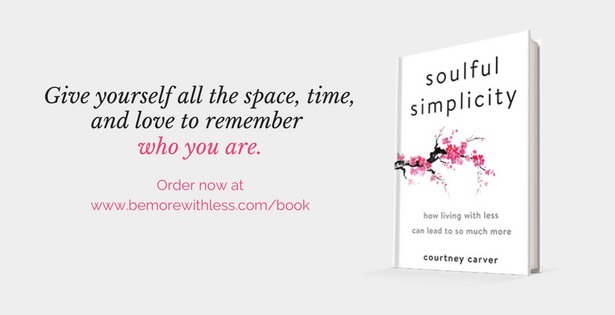 For the 4th year in a row, I’m getting together with a group of my friends, who also happen to be passionate simplicity advocates for A Simple Year, 12 months of guided simplicity. Work with us in 2017 to simplify one topic a month; including clutter, busyness, cooking, digital, gift giving, and more. You can see all the topics and contributors here. If you’d rather create your own simple year, identify one area of stress in your life to work on each month. For extra support, ask friends and family to join you. I’ve been practicing my morning routine for years. For the first few months it was only 5-10 minutes of putting myself first, and now I spend 2-3 hours writing, meditating, walking, and doing other things to take care of myself before I take care of anyone else. It’s pure bliss. Simplicity isn’t just about less, but more too; more ease, more clarity, more joy and more love. Always more love. Thank you Courtney. Great post and hits me in the heart. Daniel.